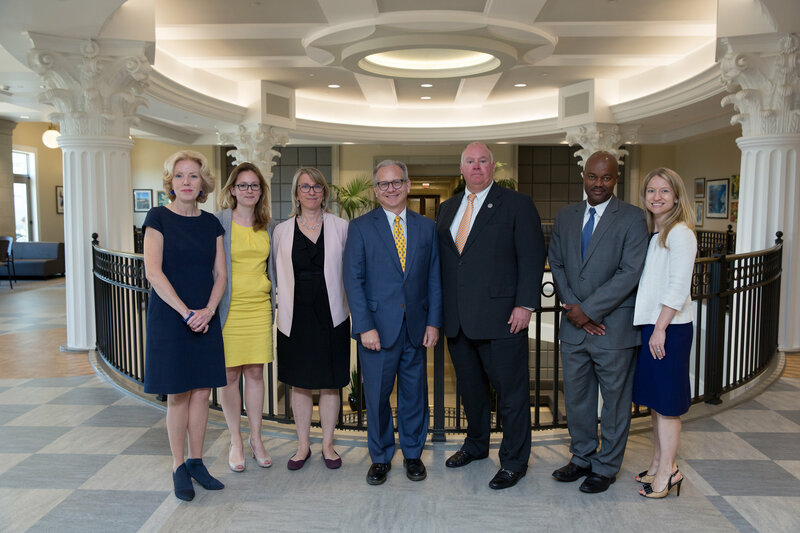 Belmont University recently served as the host site for the 2018 Business Symposium, presented by Metro’s Office of Minority and Women Business Assistance. The event, which was held on July 19, included a full day of programming complete with presentations detailing results from the survey of Prime & Minority Contractors, remarks from Mayor David Briley, tips on how to do business with the city of Nashville, a panel on procurement and more. The day concluded with a business development mixer. Speakers included CEO of Minority Business Development Institute David Cayemitte, Senior Vice President & Financial Advisor at Pinnacle Financial Partners Beth Deering, Assistant US Attorney for the Middle District of Tennessee Chris Sabis and Metro Nashville’s Chief Procurement Office Michelle Hernandez-Lane, among others. Event sponsors included Metro Nashville, Collaboration for Excellence, Women’s Business Enterprise Council, Belmont University and Bloomberg Associates. Photo courtesy of Metro BAO.